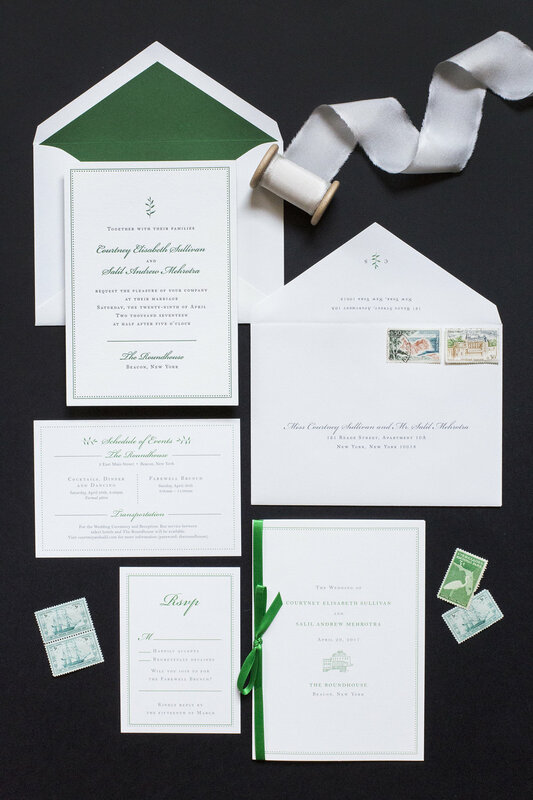 For Courtney + Salil's early spring wedding, we designed a beautiful suite with pops of jade green. We drew a little greenery icon knowing that the florals would be a mix of foraged greens and white blooms. A wild bouquet made of foraged greens, bay leaf, ruscus, jasmine and more! We are so in love with Courtney's dress! Our simple menus and table numbers fit in perfectly with the green garlands. Custom coasters are sweet keepsakes for your guest!